Mist rising off the Elbow River near Bragg Creek catches the sun in its own halo of sunlight. This entry was posted on November 4, 2014 by Christopher Martin. 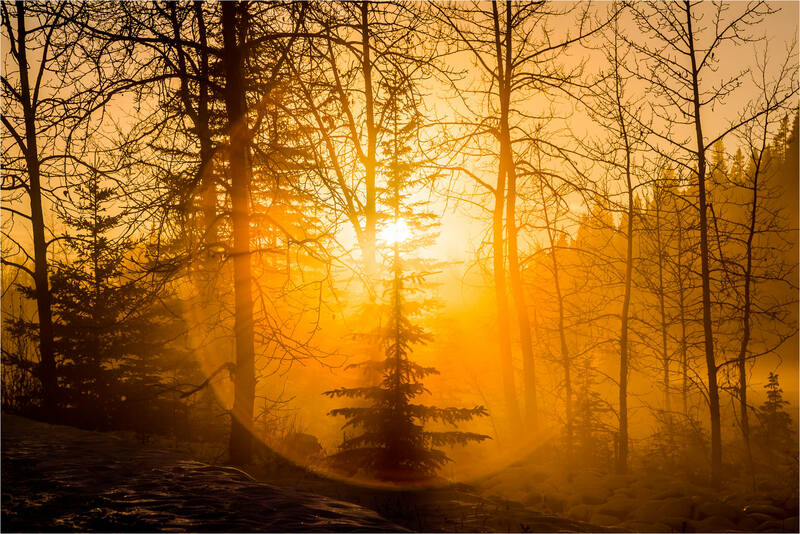 It was filed under Bragg Creek, Landscapes, Sunset and was tagged with alberta, bragg creek, Canada, Elbow River, halo, landscape photography, mist, silhouette, sun, sunlight, sunset. i think your photos have always been high quality but the last two days have shown truly fine work. Thank you Jane. This autumn’s graceful dance towards winter has been quite inspiring. A real halo !! Is this how you designed to shoot it or it happens on its own ?